On August 20, 2012, one of the key players in the Arena project publicly questioned the financial viability of the project without an anchor tenant, ie. an NHL franchise. This news story was published in the Toronto Star. Riley O’Connor, chair of Live Nation Canada, told the Star on Monday that the arena will need an NHL franchise, other pro hockey or basketball team, because concerts won’t be able to generate enough revenue for a successful business. 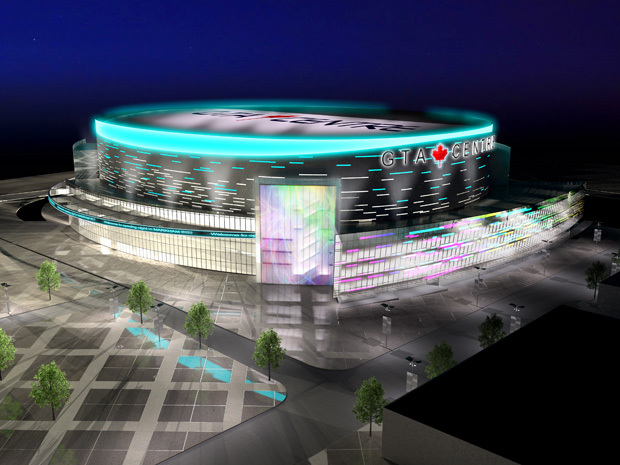 Other industry insiders and some taxpayers have questioned continuing assertions from arena promoter Graeme Roustan, chair and chief executive officer of GTA Sports and Entertainment, that the Markham facility can work well without an NHL franchise. “Look, I really support Graeme in his dream, but at some point you really have to look at the risks involved,” O’Connor said in an interview. Mr. O'Connor was displayed front on center when Mr. Roustan and the Mayor proudly introduced the 'world class team' that was backing the arena project. After Mr. O'Connors statement above, Live Nation seems to have vanished from any literature involving this project. At the recent Open House held at Markham City Hall, no one could really explain why Live Nation was not mentioned on any of the dozens of banners and posters that were being exhibited at the event. Markham residents should begin to question the viability of this project when one of it's key partners is now expressing severe doubts about the project.